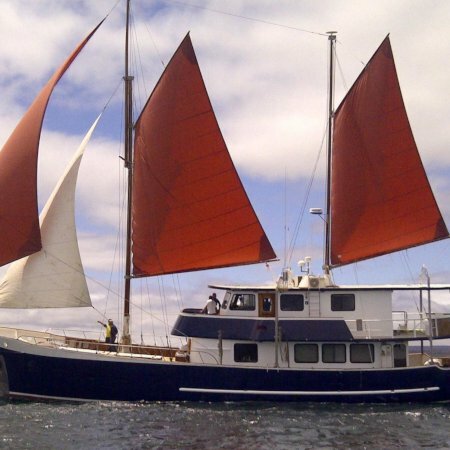 Samba seems to be one of the favorites among US visitors to the archipelago. It offers the possibility to navigate for a week the north and west islands, like Fernandina, Isabela, Marchena, Genovesa, or the south and west ones, like Santa Fe, San Cristobal, Española. 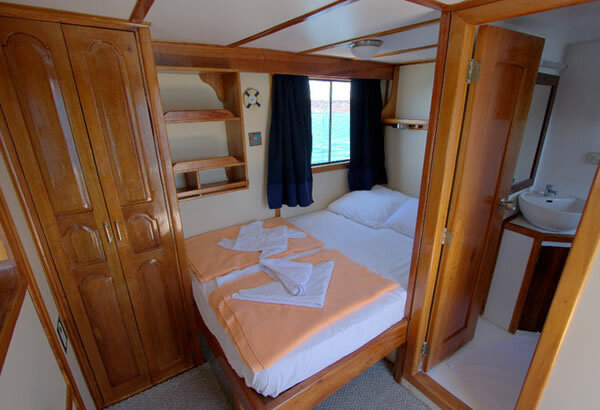 Guests also have the chance to enjoy a full tour that combines both routes for up to 15 days in order to explore the Galapagos to its fullest, aboard this exquisitely designed vintage sailboat. 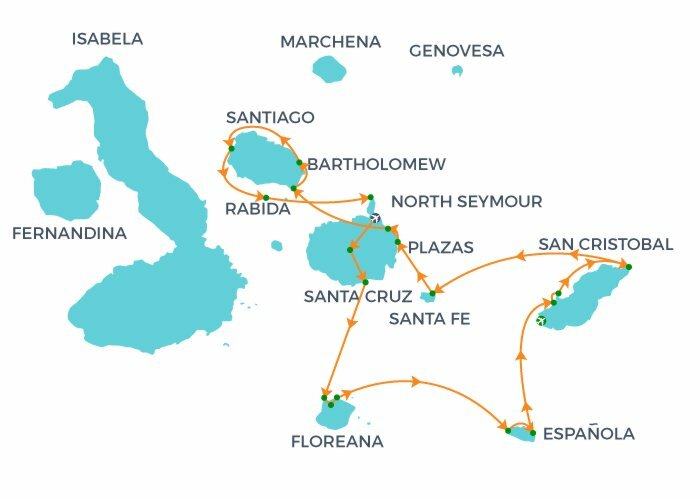 One of the most complete options to watch everything the islands can offer. 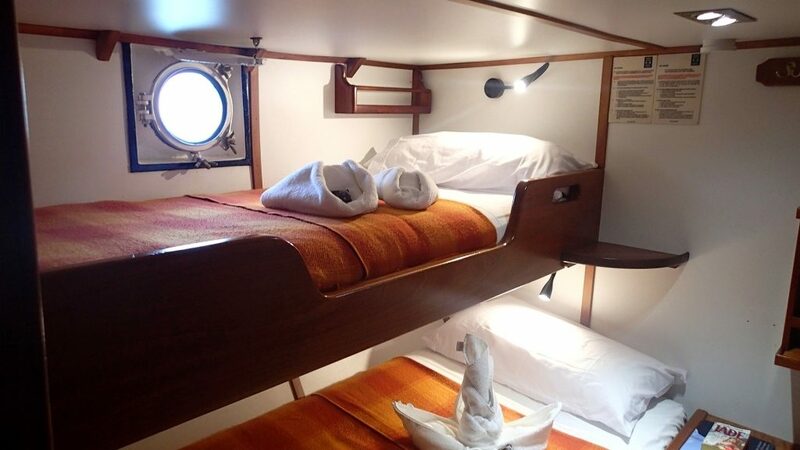 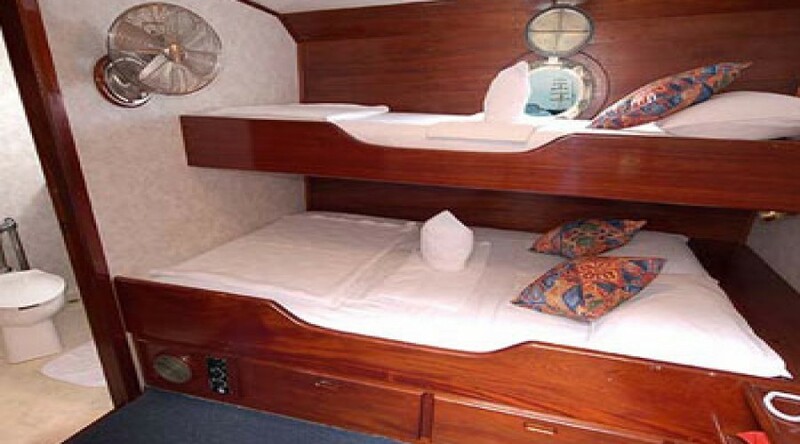 Samba can carry up to 14 passengers, a more intimate cruising experience than most ships will offer, in bunks or double rooms, each with private bathroom. 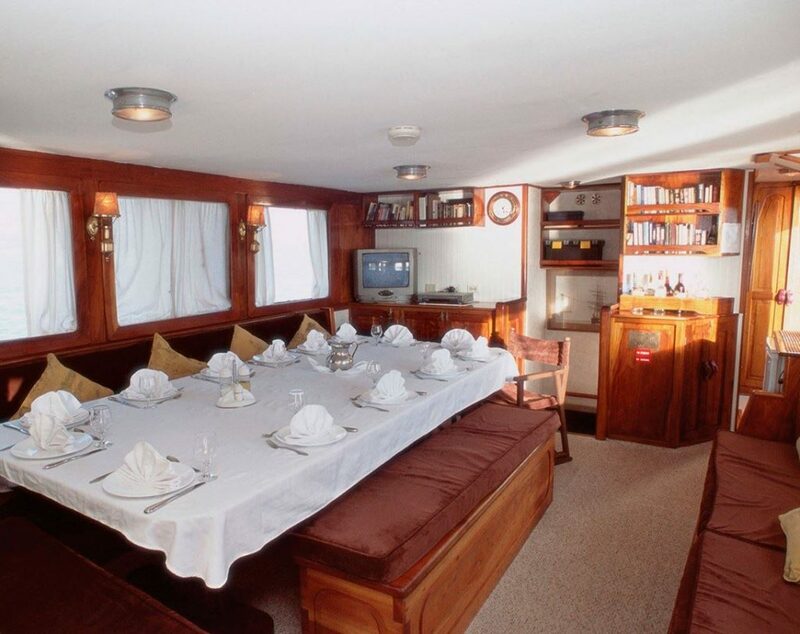 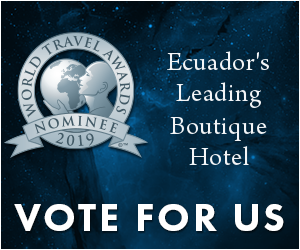 Activities include snorkeling, hiking, panga rides and kayaking, plus a sundeck at the bow and al-fresco dinning and bar, and of course, Ecuadorian cuisine, all brought to you by local staff.